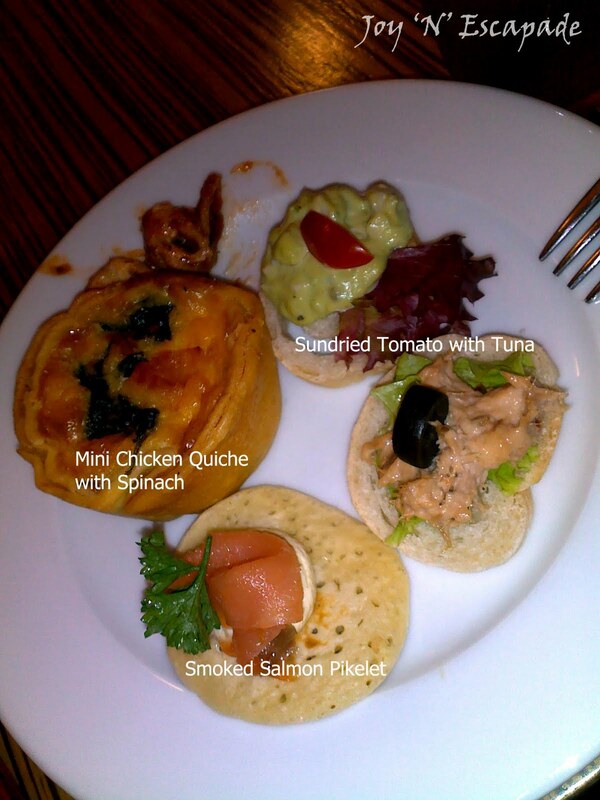 I'm back from my boss' daughter's first birthday party at Marmalade Cafe, Blk E, Ground Floor, Plaza Mont Kiara. 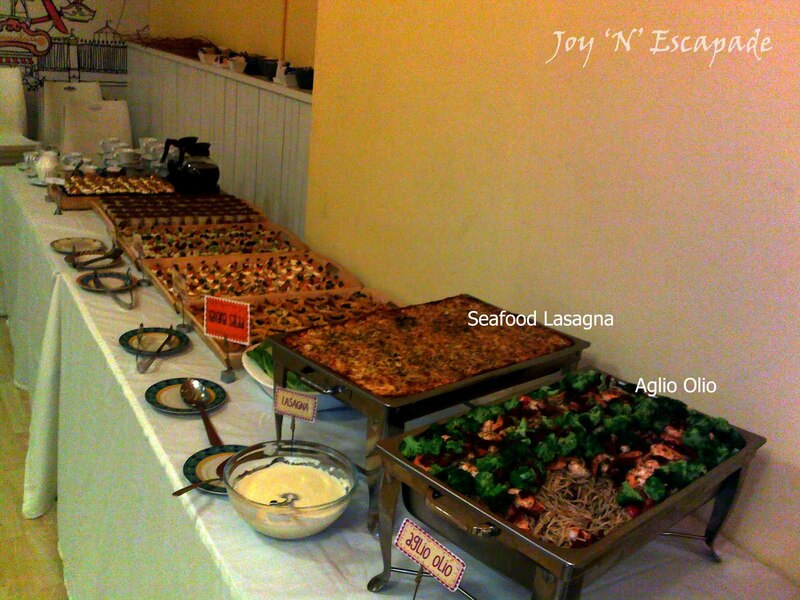 It seems that Marmalade Cafe is a rather popular choice to organize birthday parties for kids. Lightly yet cheerfully decorated with light purple and dark purple balloons, this cafe is transformed into a cozy and heartwarming gathering place for friends and family members this evening. Choices of food are good, ranging from light bites, e.g. quiches and pikelets to richer dishes, e.g. pasta and lasagna. 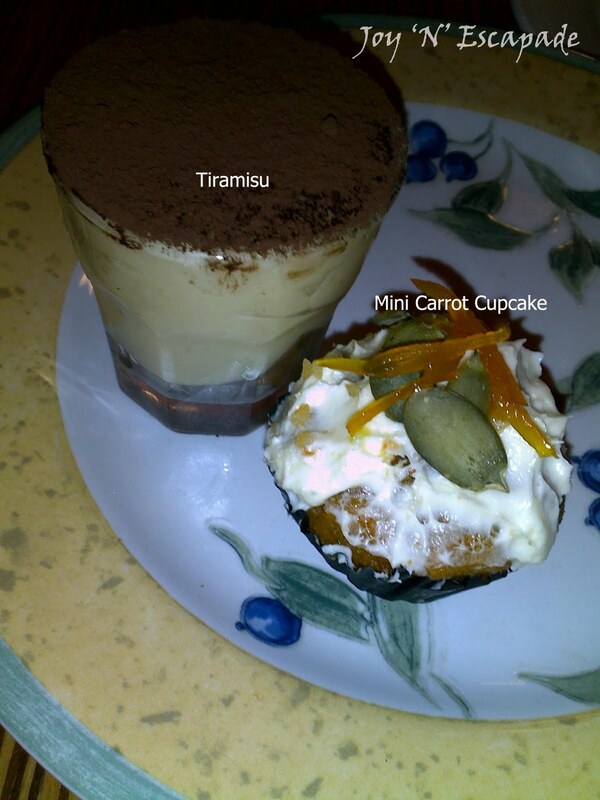 Desserts include tiramisu and mini carrot cupcake. Free flow of iced lemon tea is served plus coffee and tea too.